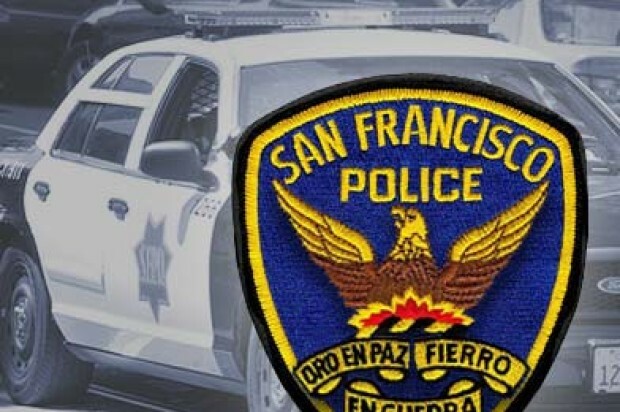 10:41 AM: The driver of a stolen van tried to flee on a bus after crashing and injuring six people including a bicyclist and a pedestrian in San Francisco’s Tenderloin neighborhood on Monday night, a police spokesman said today. At 10:18 p.m., police attempted to pull over the van for a traffic violation at Larkin and Post streets, police spokesman Officer Albie Esparza said. The driver fled and ran a red light before colliding with a taxi three blocks away near Post and Jones streets, Esparza said. The impact of the collision sent the vehicles onto the sidewalk, injuring two men nearby, a bicyclist and a pedestrian. The bicyclist, a 29-year-old man, suffered a life-threatening head injury, Esparza said. The 60-year-old pedestrian’s injuries were not life-threatening. Both men were taken to San Francisco General Hospital for treatment. The taxi driver and an occupant in the cab were also taken to the hospital with injuries that were not life-threatening, Esparza said. A 38-year-old woman who was a passenger in the stolen van was trapped after the crash. She was extricated and also taken to the hospital, Esparza said. The 26-year-old driver of the van ran from the crash scene, but was taken into custody after boarding a westbound San Francisco Municipal Railway 38-Geary bus. The suspect, whose name has not yet been released, was taken to the hospital for treatment of minor injuries he suffered in the crash. 1:23 AM: A stolen vehicle struck two pedestrians and a taxi in a hit-and-run collision on the corner of Post and Jones streets on Monday, a police spokesman said. At 10:18 p.m., police attempted to pull over a vehicle for a traffic infraction violation at Larkin and Post streets. The vehicle fled and ran a red light before colliding with a taxi two blocks away, police spokesman Officer Albie Esparza said. The impact of the collision sent the vehicles onto the sidewalk, injuring two pedestrians. One pedestrian sustained life-threatening injuries and the other is still being evaluated, according to Esparza. 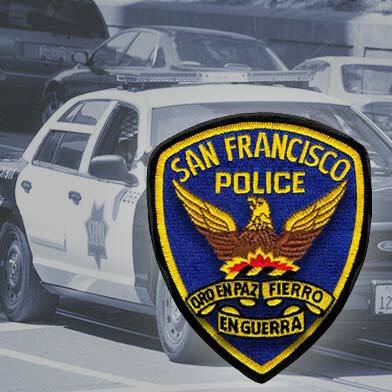 The suspect in the vehicle attempted to flee the scene, but was taken into custody after boarding a westbound 38 Geary bus. The vehicle was reported as stolen, according to Esparza. Both pedestrians were transported to San Francisco General Hospital. The taxi driver was uninjured, Esparza said.